LED gets a lot of airtime. That tends to happen when newer technology is making a splash on the open market. Here, on the Lighting Insights blog, Regency authors have included “LED” in the headline of an article nearly 25 times to date and the acronym is included in almost every post. But for all of the talk the technology gets –– both here and elsewhere –– how many people really know what LED is or how it works? What is LED? For starters, LED stands for "light emitting diode." Okay, cool, but just what is a diode and how does it emit light? These are all questions worth asking. Let’s dive into a primer on LEDs to help you understand how they work, what they’re capable of, and what they’ll be like in the future. If you're at all familiar with how incandescent technology works, well, that knowledge is pretty much useless when it comes to understanding how LEDs work. LED technology is so different than anything we've seen before. 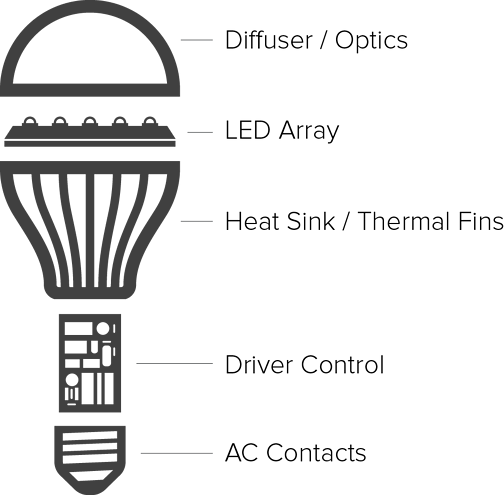 The diagram below shows the basic components of an average LED bulb. Said differently, LED is magic. Okay, if you really want to get technical about this, we can. Before any light is emitted, electricity must first pass through an LED driver. What's a driver? Well, unlike fluorescent lamps, LEDs do not require ballasts. Instead, most use drivers to control electricity (though there are driver-less LEDs that are beginning to elbow their way onto the market). Drivers do two things. First, they convert electricity to direct current, or DC. Second, they control that electricity –– signaling for dimmability, responding to changes in voltage, and more. The diode, which is the most simple type of semiconductor, glows when electricity passes through it. That's how we get light from an LED. Many times, multiple diodes are configured into a single LED array, allowing the lamp to produce more light. When the electricity gets to the diode, it emits light which passes through a phosphor coating. The role of that coating is to improve the light quality coming from the diode and dictate the color temperature of the light. Picture that warm, inviting, uniform glow of a traditional table lamp. LEDs aren't naturally like that —— they produce light in a single direction. 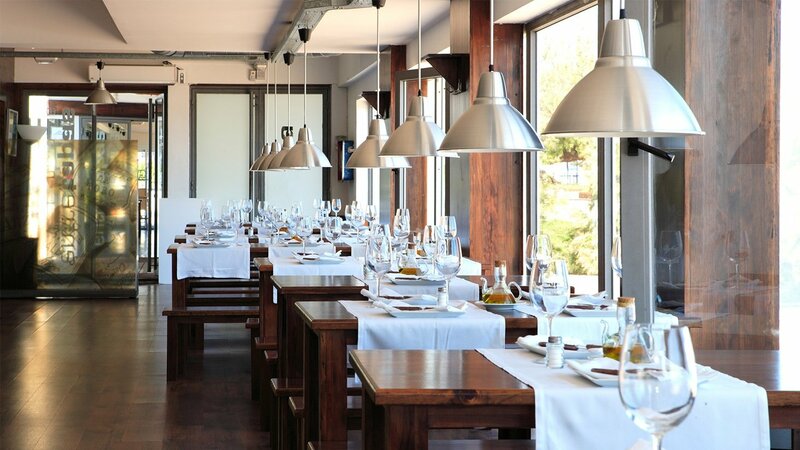 Today's lighting engineers have made great advancements by using sophisticated diffusers or optics that bend, soften, or reflect the light coming off the diodes to mimic the light output of that traditional table lamp, a spotlight, or anything in between. There's one final component to LED bulbs that's critical to their longevity —— the heat sink. Why is it so important? The heat sink draws heat away from the diodes, keeping them from early deterioration, which allows for longer life. This component often comes in the form of thermal fins. And while a lot of newer LED lamps conceal thermal fins on the inside of the lamp, or use a different heat-dissipating design altogether, it's important to know the role of the heat sink. Are LED lights better than incandescent and fluorescent? 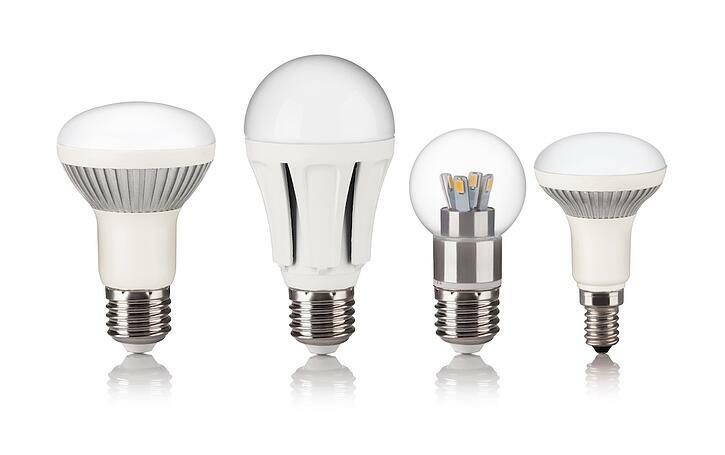 LED technology certainly compares favorably to incandescent and fluorescent technology in several key areas. They're probably most widely known for being more energy efficient than conventional technologies. But is the value of energy efficiency overstated? What if there isn't much top-level value for green business practices at your company? Should you still care about it? Well, chances are there's plenty of top-level value for saving money at your company. 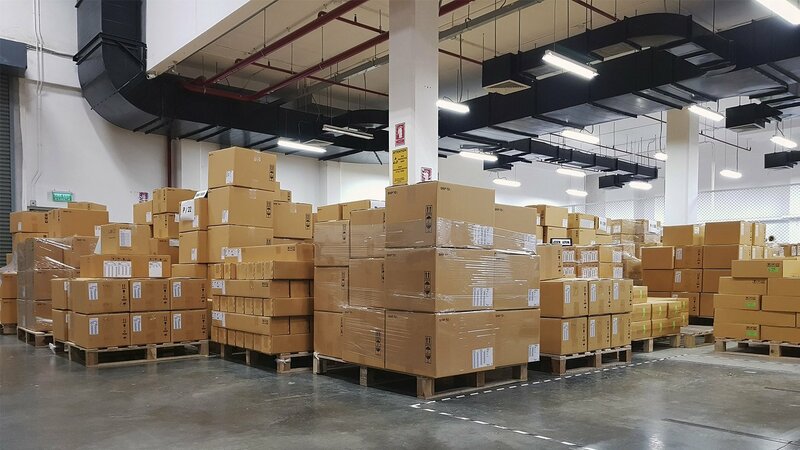 Understanding the total cost of lighting is the first place you should look if you're trying to determine if LED lighting makes sense for you. Another 11 percent goes to the labor needed to maintain lighting –– replacing burnt-out bulbs, old ballasts, etc. Many of today’s LEDs are five to seven times more expensive than a comparably bright incandescent –– two or three times pricier than compact fluorescents (CFLs). Technologically, however, they’re extremely advanced, with some coming with tuning ability for precise color rendering and others able to pump out extra light in certain wavelengths to help make certain colors more vibrant under the light of the LED. And the pastures look plenty green for continued innovations in LED –– their CRI is getting better and better as they simultaneously grow more efficient. Here's a closer look at how, exactly, today's LEDs compare with traditional lighting sources based on standard criteria. *LEDs greatly vary in price and features. The above prices reflect middle-of-the-road 60 W-equivalent dimmable LED lamps. 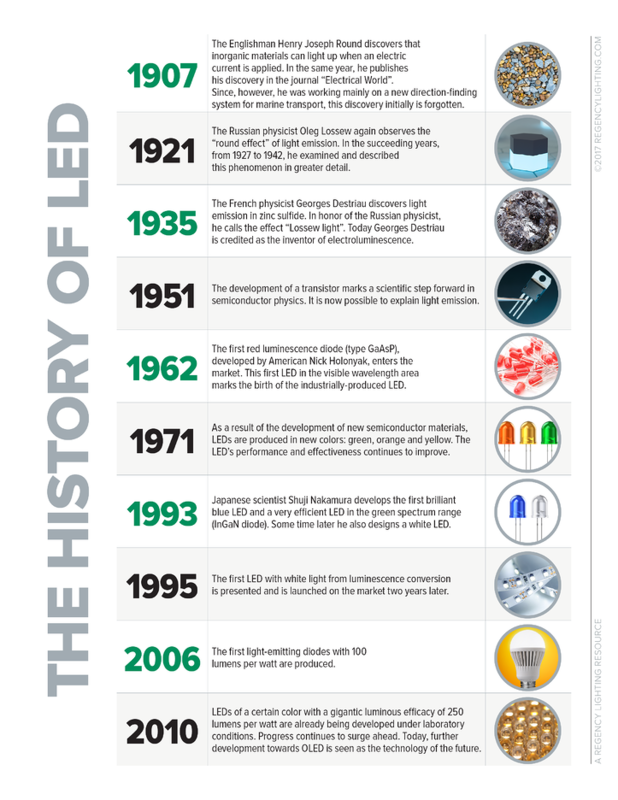 Now that you have a feel for the basic functionality of LEDs, it might be helpful to understand where they came from. Light emitting diode technology was first patented by scientists at Texas Instruments in 1961. They first hit the market in 1962, but were highly specialized and mostly used as small red indicator lights on electrical devices beginning in the late 1960s. It really wasn't until the 2000s that LED emerged as a viable general lighting source, achieving 100 lumens per watt in 2006. Today, the pastures are plenty green for LED development. Just last year, we saw a number of significant advances in LED and there's no reason to think such innovation is going to slow down anytime soon. Are you looking for more practical information on light emitting diodes? Here's our comprehensive collection of posts on the technology.